Power BibleCD is an easy-to-use Windows application for Christian Bible study. Features such as floating cross-references, floating Strong’s definitions, a lesson editor, and fast Bible searches will help you get the most out of your Bible study time. 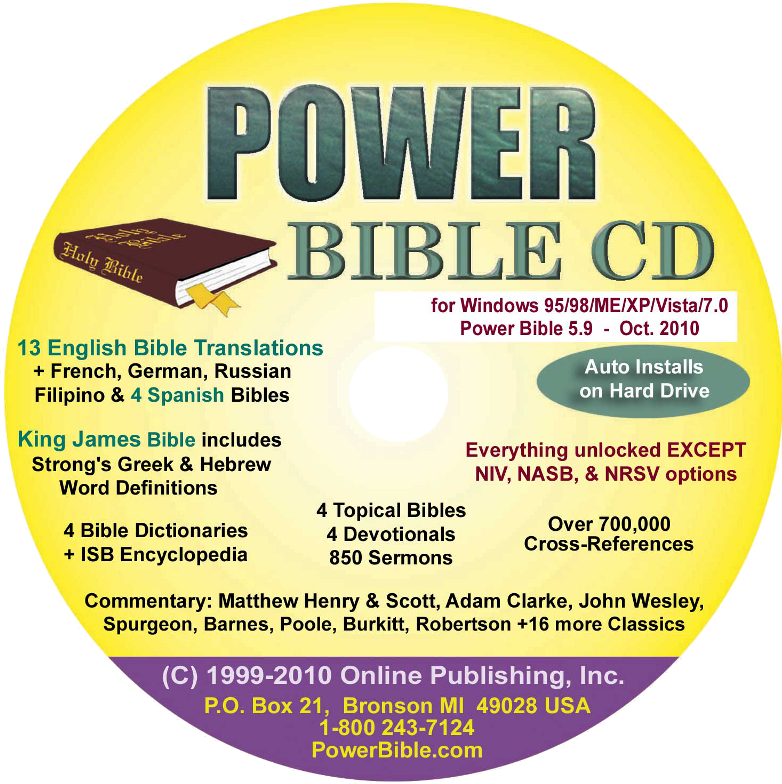 The Power Bible CD-ROM includes 22 Bible translations, over 10 Bible dictionaries, over 10 topical references, over 20 commentaries, and over 700,000 cross-references, all for only .00*, including postage! System requirements: PBCD works with Windows 98, 2000, XP, Vista, Windows 7, Windows 8 and 8.1 and Windows 10. Full installation (for best performance) to hard drive takes about 400 megabytes of hard drive space. To order, please call and talk to Sharon or Phil.